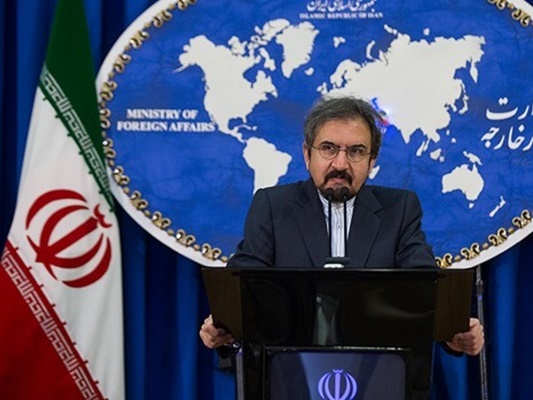 Iranian Foreign Ministry Spokesman Bahram Qassemi has dismissed as meddlesome and unacceptable the recent remarks by the British Foreign Secretary Jeremy Hunt against the Islamic Republic. In a Saturday statement, Qassemi condemned Hunt for his anti-Iran claims as well as his use of improper and false words against the Islamic Republic and expressed regret over use of such words by the British politician. “Unfortunately, over the past few days, the British foreign secretary has uttered, on several occasions, some unconsidered and false remarks on an issue which has nothing to do with his country,” he said. According to Qassemi the remarks reveal the British politician’s lack of understanding of the mentioned issue and amounts to meddling in the internal affairs of an independent country. “It’s better for the British foreign secretary to make a review of his country’s record in the Middle East over the past years and decades and explore why the UK’s policies and its supports for terrorist groups and aggressive states have led to such humanitarian catastrophes and crises in the Middle East,” he noted. The spokesman then added a review of the plights of people in Yemen, Syria, Palestine and [many other parts of the region] including massive ruins, diseases, displacement, poverty and hunger and particularly the crisis created today in Yemen by the aggressive states reveals the role played by the British government as well as the states which received billions of British weaponries and used them for fanning the flame of war, hatred and destruction in the region. Their move has led to a shameful and catastrophic situation in the region,” he added. The spokesman underlined that the UK should be ashamed of its political support for the aggressive states in war on Yemen, export of deadly weapons for murdering civilians and creation of catastrophes in the [war-torn] country. Iran’s intelligence authorities arrested Zaghari at the Imam Khomeini International Airport in April 2016 as she was on her way back to London. She was subsequently put on trial and handed a five-year jail term after being found guilty of spying and spreading propaganda against the Islamic Republic. As per the released documents, Zaghari had played an active and leading role in holding training courses for recruits at BBC World Service Trust and the ZigZag Academy. The ZigZag academy, the documents suggest, pursued two main goals, namely training and recruitment of human resources for the launch of BBC Persian Service and deployment of undercover reporters in Iran to gather intelligence.